We don't have to be passive recipients of mass media. Don't fall prey to its manipulation. By giving feedback to mass media, we are doing it a favor to give us and our children better viewing. Your comments and suggestions on any media: TV, Radio, Film, Music, etc. are highly welcome! 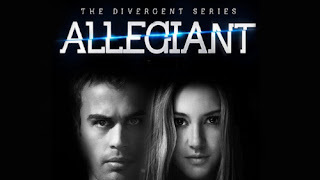 The Divergent series: Allegiant is third of the series featuring a girl who fights against standards and discrimination against systems of societies. 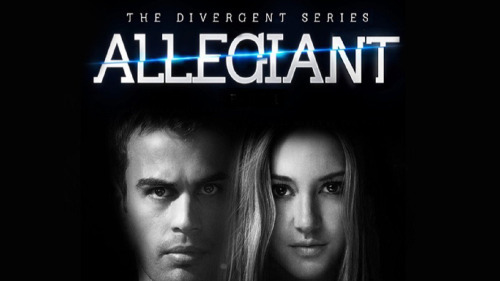 It is remarkable how the Divergent series could evolve to some science fictions standards to fighting political systems. It exposes the present realities in terms of future scenarios of the "pure" and the "damaged". But what does the "pure" human represent? And who are the "damaged" ones? For the wise and discerning audience, these terms in the modern world do not exist at all. If this were true, then we should be dead serious against further labeling people as rich and poor and powerful and powerless. We can even remove tags as First and Third World countries. Much more than removing these tags should be a commitment among countries to start helping one another instead of simply surviving for a something that simply accounts to nothing in the end. 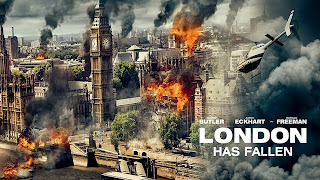 London has Fallen is a film about Chief Security Officer of the United States ensuring that the U.S. President stays alive while London is being terrorized. The degree of violence on film truly has escalated. But the story line of the typical American Cinema remains the same. It contained the usual order - disorder - order restored scenario and the action-oriented scenes. At the helm of the action is protagonist who is supposed to win over all odds, a typical superhero who cannot be wounded, and who can attain his goal at all costs. Deadpool is a story of a man who takes revenge on the man who turned him into a mutant. It may contain the conventions of a Marvel superhero character with his own particularities - not the serious type and yet, ruthless to his enemies; with his physical features so manggled that he really needs to put on that mask. The state of presentation of this feature film blurred with animation and hyperrealism is far from other endearing superhero films. A redeeming value perhaps is Deadpool's abillity to find the lighter side of misfortunes and serious problems. Also, despite his overviolent approach to fighting criminals, he could still distinguish what is true love. The audience should be warned against excessive violence in this film to the point of trivializing it. 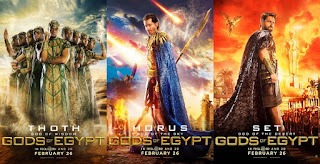 Gods of Egypt is a film about a god who is overpowered by his evil uncle before he could take over the thrown. With digital animation, we can do almost every special effect possible. The main challenge is to combine it seamlessly with live characters ang objects. The film might be overrated in this aspect. Moreover, the story plot is highly predictable; thus making it more believable to children rather than the discerning movie goers. Yet, given the pagan symbols and representations of gods, the film can still give compelling messages on the afterlife and conduct of life in this world which resonate with Christian values. Given this factor, Gods of Egypt can be a truly worthy film worth watching. 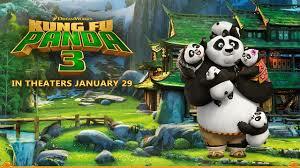 Kung Fu Panda 3 is the third episode of a Kung Fu fighting Panda on his third phase of maturity as the Dragon Warrior, the carrier of the "chi". The film never fails to amaze the moviegoers in terms of story plot and development as well as comedic twists. Po maintains his endearing character of being cuddly and down to earth which appeal to people of all ages. But he can also be live up to his rightful role as the "Dragon Warrior". With this third and the most challenging encounter with his nemesis, he must be able to transcend from his weaknesses. Po's character should inspire everyone that no matter what the challenges we can make it through. 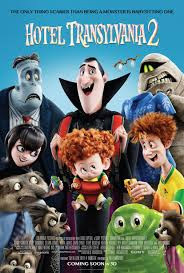 But more than relying our own strength is the admittance that we need the support of others and that friends and family could be our true strength..
Hotel Transylvania 2 is an animated film about a vampire who trains his grandchild to be a vampire. In the name of entertainment, the filmmakers bring us to examine the comedic and satirical side of the world of vampires and monsters. Unfortunately, save for the humans, the backdrop of cast and characters belong to the the dark side; hence, the need for more creativity to fit it into the world of children and comedy. Whatever the backdrop is, the story explores the world of bringing out potentials in children which may be forced or respected in time. Here, children should be treated with paramount respect and honor, and more importantly, be safeguarded against evils and dangers. Ang Silong ay kwento ng isang lalaking pinatuloy ang isang babaeng animo'y pinahihirapan ng kanyang asawa. Tila may sapat na yaman ang mga producers ng pelikulang ito upang pagkagastusan ang ganitong uri ng story line sa hanay ng mga kwentong mas mahalaga sanang isapelikula. Maaari rin naman itong tanda na maaari nang makalikha ng mas maraming tema ang Philippine movies. Kailangan din ng isang sikat ng aktor tulad ni Piolo Pascual upang gumastos ang mga tao upang panoorin ang pelikulang ito. Ang nakapanghihinayang lamang ay tila walang ibang itinuturo ang pelikula kundi ipahayag lang ang nakasulat sa poster, "The deepest scars are the ones you can't see." Pero kung sa pagtalakay ng isyung ito, walang ipinakita ang pelikula kundi ang sakit ng isip na sa bandang huli, tila ito rin ang pinatututukuyan sa mga Pilipino - lalaki man o babae, tila may sakit ng pag-iisip na may kahiligang gawan nang masama ang kanilang kapwa. Mag-ingat ang mga kabataan at yaong nais lamang magpahinga sa panonood ng sineng ito. Kailangan ng masusing pag-iisip kung ano talaga ang implikasyon ng panonood ng pelikulang ito. 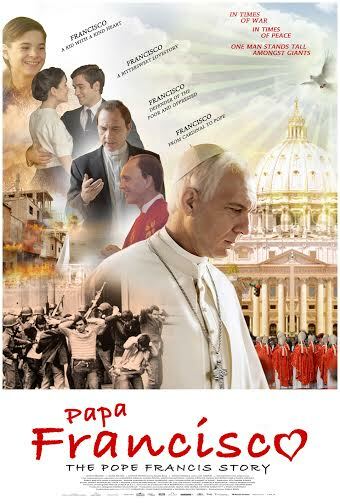 Papa Francisco: The Pope Francis Story is a film about a journalist who discovers the real person behind the man who is to become Pope. The most challenging shoot is of course, the Papal Conclave. It is excellently done. But the main advantage of the story is the compelling script that aims to come closer to the very heart of the present Pope Francis. This is the gauge of the success of the film. The movie explores not only the process of choosing the pope which is admittedly a mystery for the rest of the Catholic world, but of a far greater mystery - how the Holy Spirit molds each person towards interior conversion until he becomes an instrument even for unbelievers, corrupt systems, and yes, even the entire Church. This film portrayed by one man, can indeed be the story of our struggles to live out and be authentic witnesses of the Faith. 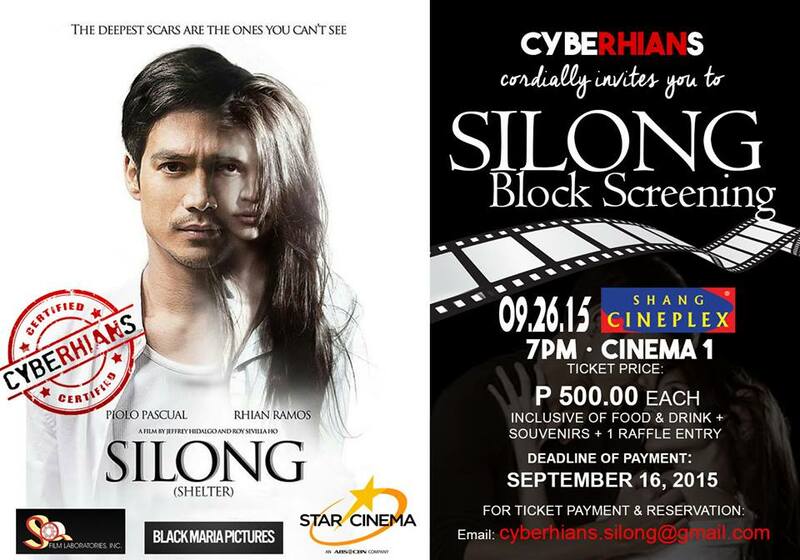 Showing this September 30, 2015. Highly recommended. Heneral Luna is a story of a Filipino General who in fighting Americans encounters unusual enemies right in his own backyard. I truly commend the producers of this film. For the first time since Lino Brocka, I feel that this film truly makes sense in terms of story line, cinematography, special effects, and the superb cast of characters like John Arcilla and the rest. 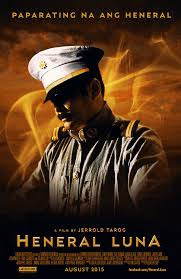 Heneral Luna just made its mark in history of quality Philippine movies that other producers should follow. Whether history has been fictionalized or tailor-made to fit movie expectations, the film seems to elicit issues beyond what history can offer - we Filipinos can't seem to be united beyond families and power. In spite of a colorful history, the nationalism we hold on to may be a myth. Unless we Filipinos change our ways, we still have a long, long, long way to go in attaining true sovereignty. 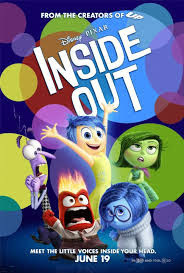 "Inside Out" is a story of a joyful alter ego of a girl who wants to restore her to her former happy state. It's a very creative concept to personify feelings, much more to create a script out of it. The resolution also is very realistic and engaging. Truly, this film contains the trademark of Pixar. The story may depict the dynamics of the self and its seeming conflicts, but eventually, everything reaches a state of well-bring brought about by an integrated self. The point really is geared towards accepting human beings as they are. Self-acceptance is the starting point of true love. Subscribe to receive latest film reviews here! Inspiring Ideas at your Fingertips!